The university is receiving backlash from students for its 2019-2020 academic year’s meal plan proposal, which requires underclassmen to purchase a $2,540 yearly meal plan. This new meal plan would prevent sophomores from switching to a cheaper meal plan resulting in a $952 loss in savings. The new plan, called “Weekly 12 w/ 300 Eagle Bucks” would be the new minimum meal plan available for first and second-year students. It will limit students to 12 meal swipes per week – less than two meals per day. These swipes do not roll over from week to week, according to AU food advocacy group Campus Swipes, meaning that if a student does not use all of their swipes in a week, they will still only have 12 for the next week. The new plan also includes changes to American University’s cashless payment system. Students previously received 200 Eagle bucks and 200 Dining Dollars (which can only be used on campus). AU One Card and Dining Services now plans on removing Dining Dollars entirely and just giving 300 Eagle bucks. The proposed meal plan is outlined below. The release of the proposal for the 2019-2020 school year received immediate negative feedback, according to American University Student Government. A survey was sent out to students on Monday, Feb. 4 regarding their current meal plans. This survey was created as a collaboration between AUSG, Housing and Residence Life, and the One Card office. AU One Card and Dining Services has responded to students’ complaints by opening up public forums for them to voice their concerns. However, according to Ann Marie Powell, director of AU Dining, not many students have shown up to the meetings. Only 30 students showed up in the two days when there are currently 4,000 students on a meal plan. “So you have to look at it from my part. It was very disheartening…four people don’t represent 4,000,” Powell said, at a forum on Jan. 31. At the forum, Powell discussed the proposal with a group of nine students that consisted of five freshmen. The discussion lasted two hours and covered the main concerns of students: the cost of the meal plan, and the lack of options in the Terrace Dining Room. This and previous forums were advertised on social media and sent in emails a few days prior to the meeting. However, many students were unaware that the forums existed. In response to the lack of communication to students, Campus Swipes posted a google form which allows students to voice their dissent against the proposed meal plan. According to a comment below Campus Swipe’s Facebook post, 99 percent of 500 respondents to the survey have said no to the current meal plan proposal, with the majority being freshmen. AWOL has not yet been able to independently verify that claim. Dining Services had discussed the meal plan with a small group of parents at Eagle Summit, asking parents to share information with students, according to Powell at the Jan. 31 forum. 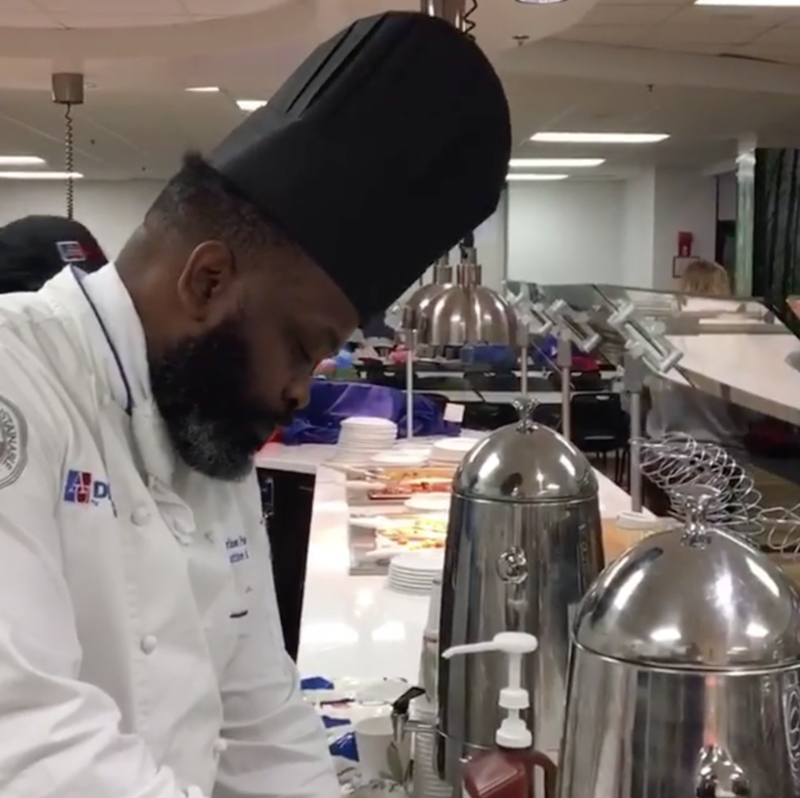 Within the information shared at Eagle Summit were options for students with dietary restrictions, including getting a prepared plate and going to the Academic Support and Access Center. According to Orientation, Transition and Retention Director Jennifer Johnson, 1,500 families attended Eagle Summit in August 2018. Sami Pye, a freshman with a severe iron and Vitamin D deficiency which causes anemia, said that she received no information from the university about her options. Outside of dietary restrictions, AU does not offer enough information for its students, according to Robins. AU’s lack of transparency with this new meal plan proposal has larger financial consequences for students. “It’s not just going to upset them, it’s going to bankrupt them. This is not something that every student could afford, this is not something that every student anticipated,” said Robins. AWOL has reached out to Powell for a comment, and have not received a response yet.